- Energetic Path to Quantum Reasoning. - Build bridges of grace in your daily life. - The energy of the Quantum heart is extraordinary and is available to all. - Channel the energy of grace and wholeness into your world. 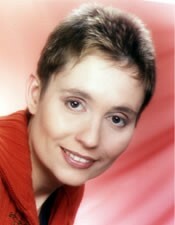 Peggy Phoenix Dubro has developed the EMF Balancing Technique®. She has a special gift that we might call "Quantum Sight" coming from a space of unconditional love without judgement. She is reminding us of our very gift which is within each one of us and she encourages us to practice this gift through the reflection sessions. Do you wish to accelerate your personal evolution & manifest your intentions with greater focus and clarity? A Reflections Session let us experience what it means to channel more of who we are as we open up to the energy of grace and wholeness. - Change our world one decision at a time! We have heard many times that the solutions to the challenges and opportunities we face in our lives will be met from a different level of consciousness. This level of consciousness can be reached through the Reflections in a surprisingly quick and profound way. Discover the joy and wisdom of thinking and reasoning in a Quantum way. The work is a great tool for personal insight! These one-hour sessions offer a unique approach to personal energy assessment combined with energy alignments. These assist each person to manifest the changes and intentions they choose as an evolutionary being. We are awakening to an ability to think and act "Quantum" in the new energy. With focus and clarity you will transform the energy of your intentions into the energy of conscious creation. Regain your infinite trust within yourselves and true healing will arise - with the acceptance that it may be different from our human preconceived ideas and expectations. Each session includes a powerful and loving Reflections alignment that is designed to expand the intelligence of your heart. Working with a Statement of Focused Intent (SOFI), we will create a unique energy pattern that increases your ability to amplify and manifest your intentions with focus and clarity. You will transform the energy of your intentions into the energy of conscious creation. "A few weeks before the training, I felt that even with all my other healing modalities I practise, I needed something to create some sort of link and fill some space inside of me - with the energy of wholeness and to somehow link everything together. During the training with the originator, Peggy Phoenix Dubro, (also originator of the EMF Balancing Technique®) my head and body was very tight for two days, especially my brain and when I asked Peggy about it she tuned in and said my brain was "rebooting". It felt just like this - getting a quantum brain or what?? Coming back from the training all the tightness had disappeared. I am now using my affirmation for 33 days, Peggy said science states that new neuro-pathways are created in 30 days plus the extra 3 to create new pathways also in the heart! (she says this with a big smile). When I use my focused intent that was used during the session every morning, I feel strong sensations when I anchor the intent in my feet and Centre Below, then with the intent at the Centre Above and Crown and finally with the intent at the Heart Centre. I feel fully supported and most positive with this energetic "back up". It's like being in the energy of a strong meditation all day to oversee the manifestations I am seeking. homelife, financial situation, health, etc. I feel very excited to offer this simple but profound quantum healing tool to others. Group sessions: I like the idea of like minded people getting together and preparing the work together and discussing intents. Whenever people lovingly and purposefully share, a lot of healing is created as their electromagnetic fields mix with a positive and loving intent. I will show you a brief DVD explaining all sides of the Universal Calibration lattice which corresponds to the symbol we will use. I would then do the session with you one-by-one in a separate room, which mainly includes looking over your already filled out focused intent sheet and making possible suggestions, then we do the meditation together to anchor the chosen focused intent/activation. I also highly recommend the sessions, called Phases, of the EMF work (see in main index under EMF Balancing Technique®). Enjoy Peggy's gift to human kind, a gift for the New Human!" Follow up sessions: It has proven to be useful to have a follow up reflection session on perhaps another area of your life - to bring the positive anchoring of your quantum intent into that area. These further sessions will be given for only £40 each. Please see below for feedback.